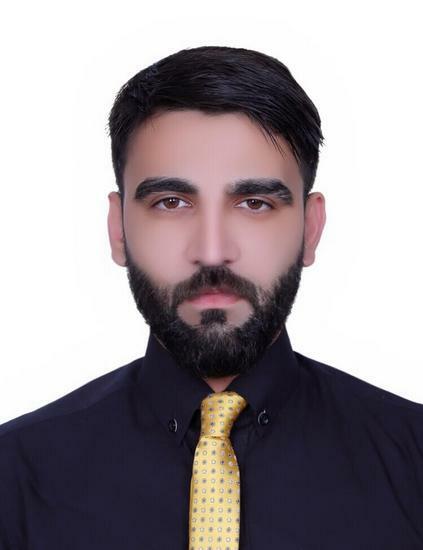 Highly focused and detail-oriented Account Manager and Business Developer with an exceptional record of client service and revenue generation.Well versed with UAE's and MENA Region's Logistics,Freight forwarding,Last mile delivery and Aviation industries,Proven track record of acquiring,building and retaining blue-chip clients,Able to manage multiple simultaneous projects with high efficiency and accuracy. Adept at working independently or managing a professional team. Heading the 3pl and the last mile silo product. Operating as the lead point of contact for any and all matters specific to my portfolio of accounts. Overseeing customer account management, including negotiating contracts and agreements to maximize profit. Develop trusted advisory relationships with key accounts, customer stakeholders and executive sponsors. Prepare and maintain reports on account status. Collaborate with sales team to identify and grow opportunities within territory. Directed, managed and coordinated logistics, warehouse, transportation and customer service activities. Lead and directed strategic planning for logistics and customer services. Responsible for overseeing the inventory management process, defining departmental strategies for appropriate inventory levels. Developed and maintained transportation system on domestic and international freight that ensures business needs are met. Managed customer service activities including order entry, customer satisfaction, interface with all internal and external departments and quality ensuring customer service creates competitive advantage in marketplace including resolving critical customer complaints. Created, managed and achieved the overall logistics and customer service department budgets. Developed and lead Sales and Operations Planning (S&OP) process. Ensured Company is in compliance with laws and regulations regarding transportation, including hazardous materials. Resolved any legal issues pertaining to transportation/distribution. Ensured Logistics Department complies with ISO 9002 requirements. Maintain receiving, warehousing and distribution operations by initiating, coordinating and enforcing program operational and personnel policies and procedures. Motivated, organized and encouraged teamwork within the workforce to ensure set productivity targets are met. Proactively contacting clients to maintain a consistent high level of service delivery. Monitor account performance through regular review meetings with operations and support functions to ensure all aspects of the business is tracked. Ensure valid contracts, SOPs (Standard Operating Procedure), and KPIs (Key Performance Indicator) are existent for all assigned accounts through the entire partnership. Playing an integral role in new business pitches being responsible for the on-boarding of new clients. Ensure timely invoicing and collection in line with client’s service needs and payment terms respectively. Team handling for a group of customer service representatives. Ensure over - all client and customer satisfaction. Prompt email response; inquires, billing, tracking shipments and complaints. Worked as Manager-Operations and Business Development,U.A.E Region. Monitored and Managed Operational Activities for Clients Like Dansaz, Galadari Group and Richtie Brothers Auctioneers for all their Heavy Haulage Movements. Managed and supervised AOG (Aircraft on ground) Movements for Emirates Airlines,Danzas and Kuehne+Nagel. Improved the operational systems, processes and policies in support of organizations mission,specifically, Supporting better management reporting, information flow,business process and organizational planning. responsible for department's long-term planning, including an initiative geared toward operational excellence. Oversaw overall financial management, planning, systems and controls. Located potential business deals by contacting potential partners; discovering and exploring opportunities. Screened potential business deals by analyzing market strategies, deal requirements, potential, and financials; evaluating options; resolving internal priorities; recommending equity investments. Developed and negotiated strategies and positions by studying integration of new venture with company strategies and operations; examining risks and potentials; estimating partners' needs and goals. Closed new business deals by coordinating requirements; developing and negotiating contracts; integrating contract requirements with business operations. Worked as Senior Sales and Business Development Executive. Managed a portfolio of VIP accounts (Existing and Potential). Dealing with all aspects of a Client Relationship Including sales and Customer Services. Used an existing network of industry contacts to generate new business. Managed the work of account executives and closed potential pipe-lined Customers. Delivered sales presentations to high-level executives and decision Makers. Attended client meetings and Co-operate Events. Maintained and expanded relationships with existing clients. Worked as Assistant Operations and Transportation Manager, U.A.E Region. Managed and coordinated all domestic transportation activities with a major focus on the development. Ensured that Department is a ‘customer-centric’ team with an infrastructure that provides the foundation for business growth. Worked in partnership with the Transportation Manager and The Domestic operations Manager to create a more strategic approach for the company to include vendors, External Fleet providers and all distribution and transportation functions. Assist in the development of improved transportation expertise and practices including negotiation of transportation contracts and domestic customer services; familiar with all modes and regulations, providers. Maintained Daily/Weekly and Monthly Diesel/Fuel Consumption report and took necessary measures to efficient cost control. Monitored daily Operations and Vendor’s performance through KPIs. Handled escalated incidents and claims for shipment damages & shortages as well as personally investigating incidents and preparing incidents reports on the same lines. Worked as Key Accounts and Customer Services Specialist. Partially responsible for business development and sales and also acting as an expert cross seller selling company's other featured products to Clients. Handled and monitored special land transportation projects for Clients like Kuehne-Nagel,Johnson and Johnson,Black & Decker and Unicef. Receiving and confirmed all the bookings from all the departments at Customer's end. Prepared delivery Notes (confirmation references) for the client and maintaining the movement report on daily basis. Building client relationship by acting as the interface between the customer and the company. Providing Client consultation and responsible for understanding Client’s organization and structure and staying well aware of client news and changes. Acquiring required documentation for customs and ports authorities. Establishing and promoting good will with Client and reviewing client history and contacting and meeting decision makers as a follow-up activity. Worked as Customers Accounts and services executive. Handled shipment/consignments under all modes of transportation Air Sea and Land. Identifying market potential by qualifying accounts and reviewing reports from survey and cooperate training. Contributes information to market strategy by monitoring competitive products and reactions from clients/customer. Accountable for customer satisfaction and providing high quality Customer service. Executing results against strategy and meet critical deadlines. Recommending new solutions and services by evaluating current solutions. Keeping commitments in a timely manner and resolving issues promptly. Making and keeping records of shipping request notices and maintaining daily reports for both company and customer's references. Conducted professional training and trained a number of call centre staff for top-notch customer service. Nuclear Radiation and Goods Safety. Cooperate Sales and Customer retention.